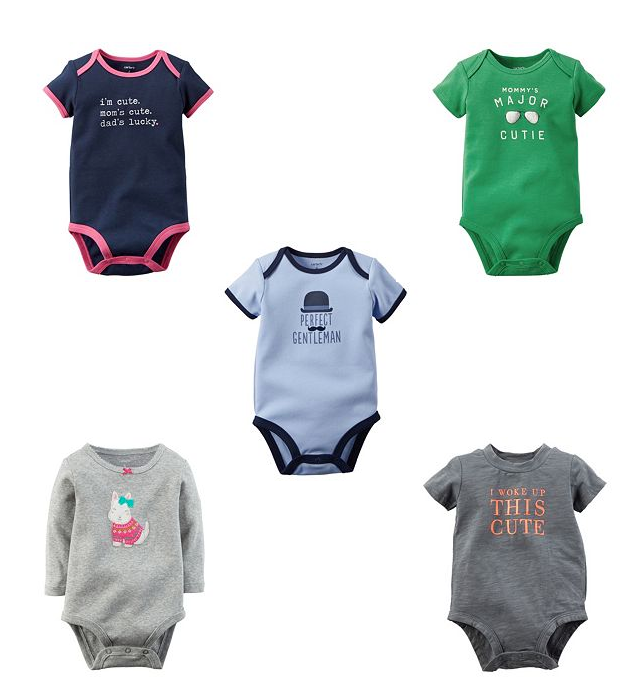 Carter's Slogan Bodysuits Just $4.25 At Kohl's! You are here: Home / Great Deals / Carter’s Slogan Bodysuits Just $4.25 At Kohl’s! Carter’s Slogan Bodysuits Just $4.25 At Kohl’s! These little onesies are super cute! Stock up on Carter’s Slogan Bodysuits At Kohl’s! On sale for $5, but you can get them for even less! You’ll also get $10 in Kohl’s Cash for every $50 you purchase!